Sacramento Region, CA (MPG) - Led by a dramatic increase in the price for wine grapes, Sacramento County farmers and ranchers set a record for overall agricultural output last year. The 2016 Crop and Livestock Report released by the Sacramento County Agricultural Commissioner's Office revealed that the gross value of all agricultural production in Sacramento County reached a record high of more than $507 million. The figure represents a 7.9 percent increase over last year's numbers, despite a record fifth year of drought that hurt many agricultural operations. 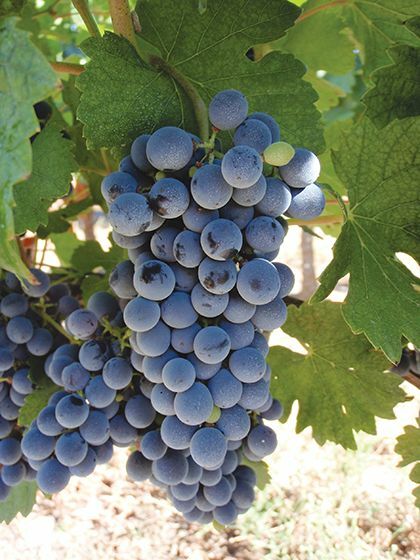 "Wine grapes continue to rule as King in Sacramento County as they have for the past eight years and milk continues to hold onto the number two slot," said Sacramento County Agricultural Commissioner Juli Jensen during her presentation to the Sacramento County Board of Supervisors. "California is the third top producing state in pears, behind Washington and Oregon. Sacramento County is the top pear producing county in California." The high prices for wine grapes and other commodities in Sacramento County masked troubling news that yields in several commodity areas dropped significantly last year. The numbers for field crops such as rice, wheat, silage corn, oats and irrigated pasture all suffered significant declines. Yields for other crops such as cherries and walnuts also dropped, as did cattle and calves and other livestock. The value of aquaculture also fell sharply in Sacramento County, led by a steep decline in the price for caviar. Sacramento County Farm Bureau Executive Director Bill Bird admitted that while drought may be to blame for the lower output for some commodities, other factors may also be playing a role. "Our farmers and ranchers are forced to pay the highest labor costs in this country," said Bird. "The high minimum wage coupled with very expensive workers compensation insurance, liability insurance and health care benefits costs our growers millions of dollars. These are costs that growers in other states are not forced to shoulder." The 2016 Crop and Livestock report also revealed that nursery stock climbed back into the top five agricultural products produced in Sacramento County, which is attributed to a recovering housing market and efforts by homeowners to replace lawns with drought tolerant landscaping. The dollar figures in the report do not reflect the cost of the production of these agricultural commodities. The figures also do not reflect grower costs such as processing, transportation and labor. Sacramento County farmers put food on your fork. Our agricultural operations and products are as diverse as the lands we carefully manage. We are proud to provide healthy, fresh food for your family and ours.